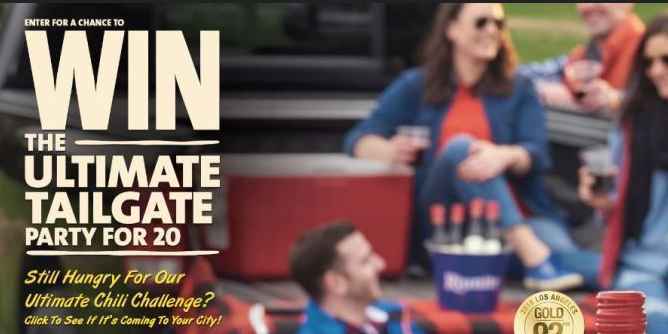 VB Imports has teamed up with Old Brookville to bring you the Riunite Ultimate Tailgate Party Sweepstakes where they will be giving you the chance to win Ultimate Tailgate Party package to include access to an invitation-only pre-game tailgate party for twenty people at a pro football stadium & $5,000 cash prize. How To Enter: During the sweepstakes period go to this link:riunitetailgate.com and follow the online instructions to register by entering all information requested on the registration form and once you filled out the entry form now Click on the submit button to complete the registration form. Who Can Enter: This sweepstakes is open only to legal residents of the contiguous 48 United States and District of Columbia who are twenty one (21) years of age or older at the time they enter the sweepstakes. When To Enter: The Sweepstakes entry begins at 12:00AM Eastern Time (“ET”) on August 1, 2018 and ends 11:59PM ET on October 31, 2018. Who’s Sponsor: The Riunite Ultimate Tailgate Party Sweepstakes is sponsored by VB Imports, Old Brookville, NY 11545.